Florida residents looking to stay-cation at Hutchinson Shores Resort & Spa receive up to 30% off best available rates. Book Florida resident savings at the link below or by calling (877) 502-4653 using code FLRES. Be prepared to present Florida ID at check-in. For more information on Hutchinson Shores Resort & Spa visit https://www.hutchinsonshores.com or call (877) 502-4653. Nestled north of Palm Beach on Florida’s east coast lies Hutchinson Island, an undiscovered haven presenting Hutchinson Shores Resort & Spa. 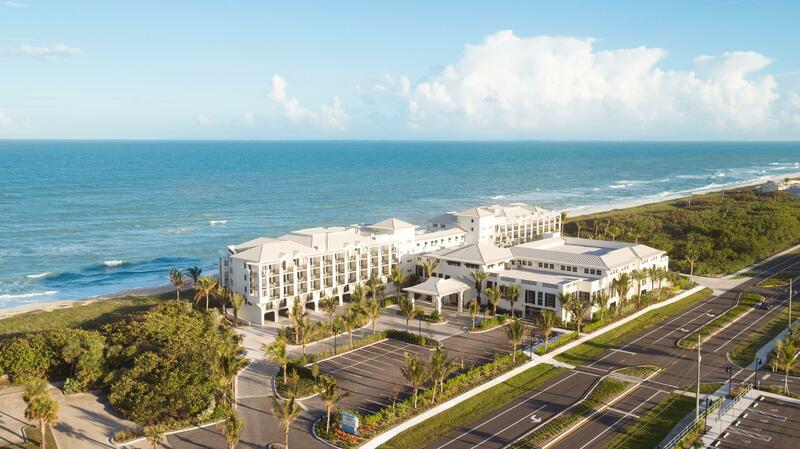 The coastal-inspired respite offers 178 guest rooms reflecting the ocean’s color spectrum of blues, greens and pearl. Providing comfort that beckon guests to linger longer, Hutchinson Shores Resort & Spa boasts a signature Spa, two pools and cabanas, three resort dining options including Drift Kitchen + Bar showcasing house-made pastas and fresh seafood, and 12,000 sq. ft. of meeting and event space with endless beachside activities.